You might be forgiven for thinking that fish have no personality. But according to biologists in Britain, not only do different trout have different characters, but these change as the fish experience life's highs and lows. Winning or losing a fight, or even watching fellow fish negotiate the perils and pitfalls of encountering strange new objects, influenced the future behaviour of rainbow trout (Oncorhynchus mykiss) studied in the lab. Researchers led by Lynne Sneddon, of the University of Liverpool, identified different "personalities" in their fish by observing the boldness or shyness of individuals. Like people, some fish are very confident in the face of novelty or confrontation, whereas others are reticent and fearful. Sneddon and her team selected particularly bold and shy fish, and tested whether they changed their outlook depending on what life threw at them. They did this by arranging fish fights and watching to see how both the participants and observers responded to victories and defeats. The idea of animal personalities - known to researchers as "behavioural syndromes" - has been around for a while. The idea aims to explain why some animals' behaviour is not always ideally suited to their circumstances. A male with a naturally aggressive temperament, for example, might be great at fighting off rivals, but might never get to mate because his heavy-handed seduction tactics scare off the ladies. The new research suggests that these traits are not set in stone, and that animals can gradually adapt their personalities. "Traditionally they were thought to be consistent," says Sneddon. "But actually no one had looked to see." She and her colleagues deliberately pitted fish against much larger or smaller opponents, to ensure that they would win or lose the ensuing fight. 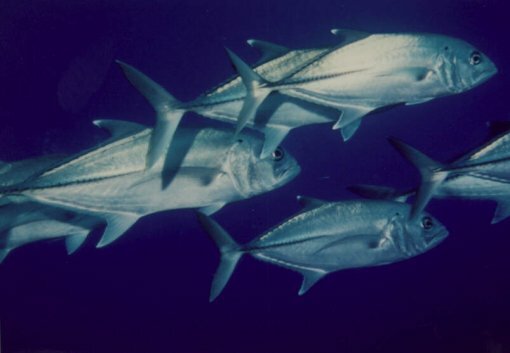 Bold fish that won their fights tended to be even more bold when later presented with a novel food item; losing their fight caused them to be much more cautious. Sneddon suspects that shyness and boldness are linked to physiological factors such as levels of stress hormones. Losing a fight might boost levels of stress-related chemicals such as cortisol, which might make a fish much more wary in future. Fish also learn by watching others, the researchers found. Bold fish watching a shy fish investigate a mystery object were much more nervous when later given a novelty item for themselves. The results are presented in the journal Proceedings of the Royal Society B1. Predictably, shy fish that won a fight also gained more confidence. But surprisingly, shy fish that lost their bout also grew bolder when investigating strange new food. Sneddon says that this could be due to what she calls a "desperado effect." Shy fish that know they're pathetic in a fight must race for food if they want to get any, she suggests, admitting: "This is totally presuming that fish think about winning or losing." The results echo the effects that life experience can have on humans. The emboldening effects of being one of life's winners has caused many a rock star to hear the words "You've changed, man." At the other end of the spectrum, stressful events can cause a real downturn in someone's outlook. "Loss of a loved one can cause major depression when you've never been depressed before," Sneddon says. "And after the Vietnam War, post-traumatic stress disorder caused people to come back almost a completely different person."